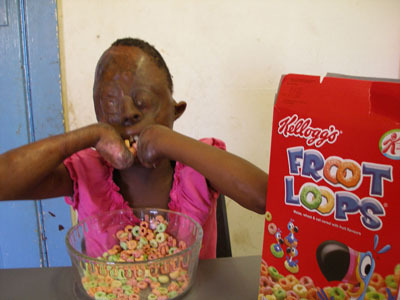 February 2007: enjoying her favourite cereal, burns survivor Dorah Mokoena. Because she has no fingers, Kellogg's Froot Loops is one of the few foods she can eat independently. She drinks a glass of milk afterwards.